When a friend invited me to an Usborne party a few years ago, I never dreamed I'd become an Usborne Books at Home consultant. I had seen Usborne books before, but this wasn't the company I remembered. I quickly fell in love with the vivid illustrations, captivating text, and fun, yet educational science and history titles. 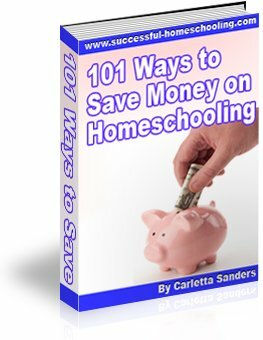 Although I only purchased a single book, I asked if I could keep the catalog, and I made a list of books to purchase to use in our homeschool when my son was older. In January of 2008, I pulled out the list of Usborne children's books I wanted to purchase. My husband took one look at the length of the list and said, "You need to become a consultant." A few months later, an online friend told me about a special offer on a starter kit to become an Usborne books consultant. The kit contained books, training materials, supplies, ordering software and a website. It was priced lower than the amount I planned to spend on books for homeschooling. When I found out I did not have to recruit friends, carry inventory or meet any quotas, I was sold. I placed my order and was surprised to see my box of books arrive the next day. I waited until the kids went to bed before opening the box so I could have the books all to myself. I love books and always thought I'd open a bookstore one day. Working with books and putting them in the hands of children has been a dream come true. The starter kit came with a consultant manual, home show DVD, audio CD, and access to a website with a message board and training materials. I watched the DVD several times and listened to the CD until my children had parts of it memorized. However, the most valuable training was the coaching I received from my online friend and sponsor, Amy. When I joined Usborne, I decided to focus on booths, book fairs and school/library sales instead of home shows. Amy encouraged me to try home shows as well, and I'm so glad she did. I was nervous before my first home show, but it was a huge success. I earned enough in commission to cover the cost of my initial investment in Usborne. I also earned $140 in free books. From that first show, I learned an important lesson - Usborne books sell themselves. I am not a salesperson, and I do not like pressuring friends to purchase products. With Usborne, I am simply telling people I know about a product I love. Upon seeing my selection of books, one of my friends decided to join Usborne. During my 12 week training period with Usborne, I received commission on sales of over $2000, earned several cash bonuses, and received over $500 worth of FREE books. More importantly, I gained confidence, developed public speaking skills, and set a great example for my children. They gladly helped me prepare for home parties and distribute books. My 7 year old was so excited about my Usborne home business, that he began thinking of ways to start a business of his own. My Usborne book library has grown from 16 books to 115 books - many of which were free. I now have far more than the orignal number of Usborne books I wanted to use for homeschooling. That alone led my husband to declare this business a success! Because Usborne has no minimum sales requirements for consultants, I have scaled back on building my business, knowing I can move forward at any time, and also receive commsissions on orders I place for gifts. If you are interested in earning extra income or receiving a discount on books, you may want to consider selling Usborne books. Here is some information about home based business opportunities with Usborne. 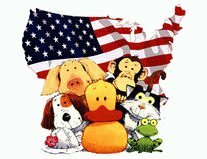 Here are answers to frequently asked questions about starting an Usborne Books at Home business. Please feel free to contact me if you have any additional questions. I would love to help you on the road to successful Usborne business!